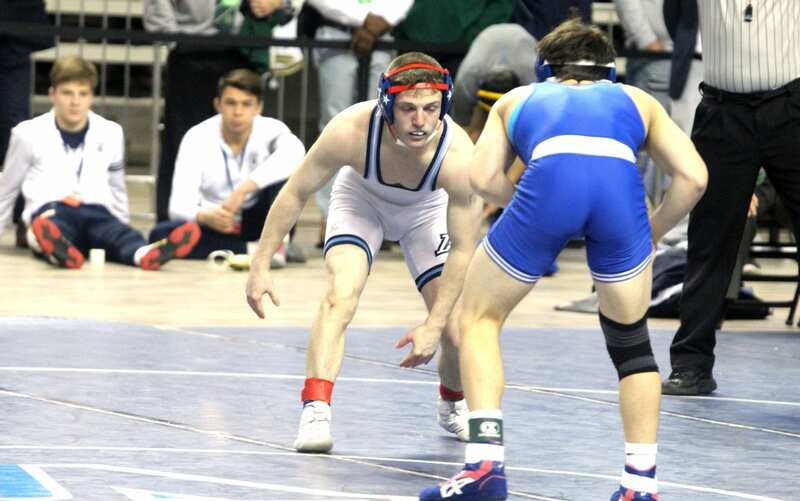 Airline’s Peyton Bass and Tucker Almond finished second and third, respectively, in their respective Division I weight classes in the Allstate Sugar Bowl/LHSAA Wrestling State Tournament held Friday and Saturday at the CenturyLink Center. Bass, the No. 2 seed, was the runner-up in the 126-pound class, falling to No. 1 Luke Eccles of Jesuit by a 10-2 major decision in the finals. Bass pinned his first three opponents to reach the semifinals where he faced Byrd’s Demetri Teddlie. Bass was behind in points when he pinned Teddlie 39 seconds into the third period. Bass, a senior, finished second for the second year in a row. Just a few months ago, Almond thought his high school career was over when he accidentally suffered a severe cut on his hand using scissors to cut ties on a new ground deer stand in the back of his pickup truck. But after undergoing surgery, he was able to get back on the mat. Almond wrestled at 152 pounds during the regular season. But he was able to drop down to the 145-pound class for the state tournament. Because he had no results at that weight, he was seeded seventh. Almond pinned his first two opponents then won a 9-3 decision over No. 2 seed Colby Queyrouze of Jesuit in the quarterfinals. He suffered a tough 8-4 loss to No. 3 Ben Davidson of St. Paul’s in the semifinals. After defeating Jake Romig of Holy Cross 8-0 in the consolation semifinals, he faced Queyroyze again for third, winning 7-4. New Orleans Brother Martin won the Division I title for the seventh time in the last eight years. The Crusaders scored 331.5 to 306.5 for runner-up Holy Cross. Airline finished 15th out of 29 teams. Basile won the Division III title with 282 points. Lake Charles St. Louis was second with 224.5.